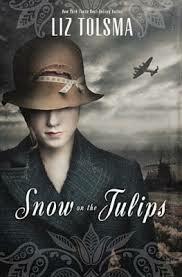 Set in a Nazi occupied part of the Netherlands toward the end of WWII, this is not only a suspenseful wartime romance, but one inspired by the true story of the author’s own relatives. The characters and high-stake narrative are so emotionally engaging I could not put it down. Cornelia de Vries is a wartime widow who lost her husband on their wedding night at the beginning of the war. Now she hides her younger brother, Johan, in her home–doing all she can to keep his youthful spirit out of the wartime action he desires. When Dutch Resistance worker, Gerrit Laninga, comes to her door wounded and in need of help, she reluctantly takes him in. But Cornelia must come to terms with her own fears, grief, the expression of her Christian faith, and her budding romantic feelings. This is a story of redemption, love, overcoming fear, and finding the courage to do God’s will even in the most dangerous of circumstances. Each major character portrays a unique perspective and role, which combine to create a thought-provoking and encouraging work of fiction. There is also a list of study questions in the back of the book for use in a reading group. 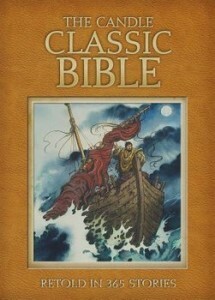 This is a great Bible for 7-12 year olds, depending on the child’s reading and comprehension level. Younger children may also enjoy being read the stories, but the realistic-looking pictures may not engage little ones as well as it would older “tweens” and “pre-teens.” There are 365 stories–one for every day of the year–with each story being only about half a page (one column). The stories are age appropriate, not overly detailed, and cohesively pull together the biblical chronology. In fact, between the Old Testament (ending chronologically with Nehemiah and the rebuilding of the temple) and the New Testament (beginning with Zechariah and Elizabeth) is a story called, “Many Years of Trouble,” to tie those events together with a brief historical overview of the Roman conquest and the Jewish need for Messiah. I really appreciate this acknowledgement of the historical setting. Younger readers can use this Bible to grasp the full outline of Scripture, so that when they are ready to read the Scriptures for themselves, they will understand how it all fits together. I also appreciate the quality of this Bible. The binding is excellent. The pictures are accurate, realistic, and look great. And overall, it is just a really well-made book. It would be perfect as a gift Bible (and it does include a presentation page for this purpose). The Table of Contents is also particularly well done: broad topics are in bold (e.g. The Story of Creation, The Story of Noah, and so on) and each daily story is listed underneath the overarching topic. The lives and ministries of key figures like Moses, David, and Jesus are broken down into many stories (days), while other figures/events have only a handful. It is hard to read only one story a day, since they fit together so well in telling the captivating story of our faith. Grieving widow, Juliet “Jules” Belleno, follows a staunch routine with very little outside contact. Instead, she focuses her attention online: blogging, facebooking, and dreaming of publishing her own book someday. But shortly after writing a negative book review of her favorite author’s most recent work, he kidnaps her and takes her to a secluded cabin. Upon her disappearance, it is up to her alcoholic father and her husband’s best friend and former police partner to locate her and bring her home; but there are many obstacles and some interesting twists along the way. 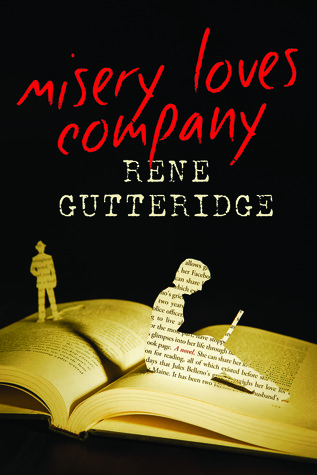 Rene Gutteridge writes with an edge, humor, and quirkiness that is really fun to read. I’m a big fan of her unique style. The character’s are well-developed and come to life on the page, and the story reflects Gutteridge’s creativity and distinctiveness. Misery is particularly special as it is both a suspense novel and a meta-narrative about the writing process. Although I enjoyed the suspense element, it was a bit predictable for me (I read constantly, so maybe I’m just familiar with patterns). The dialog about writing, however, really moved me–I would even say it challenged me to think differently about my own writing process. I did not expect this experience from suspense fiction, which made it all the more enjoyable. 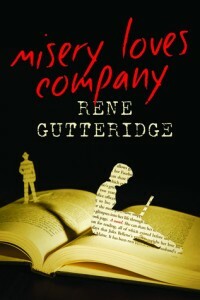 I will continue to look forward to Gutteridge’s new releases. If you are looking for a meaty devotional this would be an excellent choice! I am usually not a fan of devotional books, but this one was so deep that I took the time to read just one section a day rather than rushing through it. James Goll breaks down the lifestyle of a prophet in three sections: the lifestyle of intimacy, the lifestyle of wisdom, and the lifestyle of revelation. The progression of his teaching guides the reader to connect with God and develop strong character before beginning to intentionally work in the prophetic gifts (or really any gifting). While some devotional books seem to have passages that are only present to meet the required number of days, this one has no wasted words. It is a monograph hidden in popular devotional form. Goll teaches through stories, expounds upon the Scriptures, and ends each chapter (day) with a prayer and introspective questions. (And his questions are really good ones! I found myself learning and growing a lot from my reflection upon the questions alone). 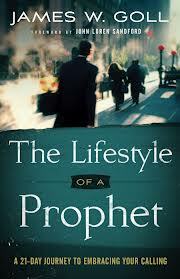 Not only does The Lifestyle of a Prophet teach and direct about the gift of prophecy, it allows readers time and guidance to contemplate their own positions of intimacy with God and activity within their callings. This is not a devotional for those gifted in prophecy only; it is a resource for connecting deeply with Him so that His heart is naturally expressed from the believer’s life (and that, essentially is the essence of the prophetic). That said, this is first and foremost a devotional, so the focus is on personal growth rather than being a simple introductory teaching tool.